On this 46th Year of Independence, present this beautifully prepared set of cookies to your family members and relatives. 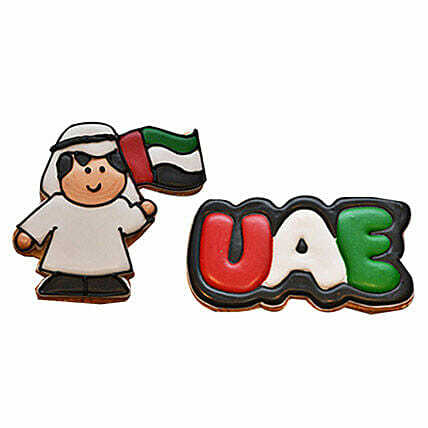 This set of colorful cookies is showcasing a man holding the flag of the UAE and the words UAE in red, white, and green colors. 4 Set of Cookies with UAE and Flag Set.